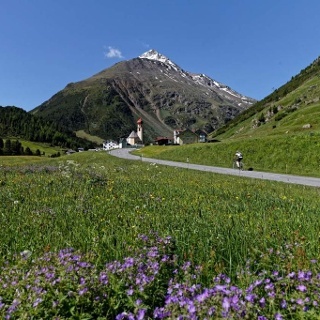 A fabulous hiking trail travels from Vent via the suspension bridge to the Rofenhöfe farms, and further on towards the meadows of Rofen and the base station of the goods lift leading up to Vernagthütte. 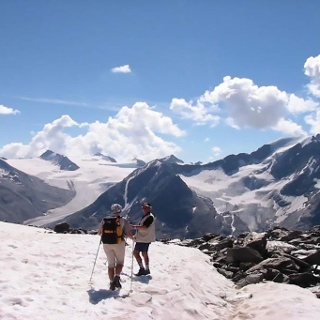 A breathtaking ravine takes you on a moderately ascending trail to Hochjoch Hospiz. 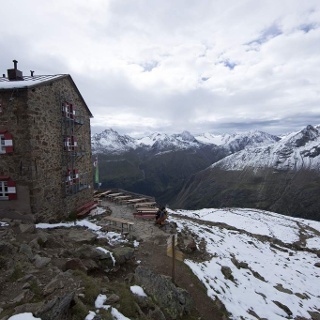 From the hut you continue in the direction of Brandenburger Haus, the trail to Guslarspitze forks off after about 1 walking hour. 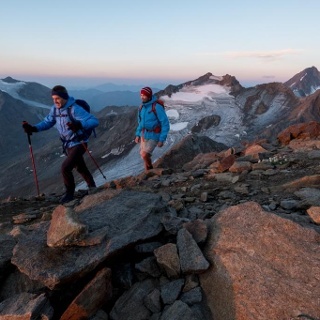 A grass-covered route takes you to the rock-strewn last section and up to the peak. 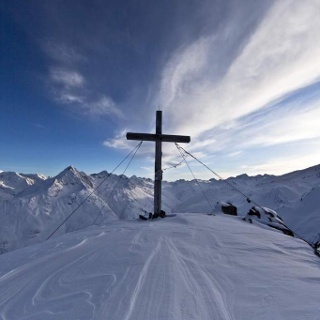 Unrivaled 360-degree views await you plus a wonderful summit cross with edelweiss. 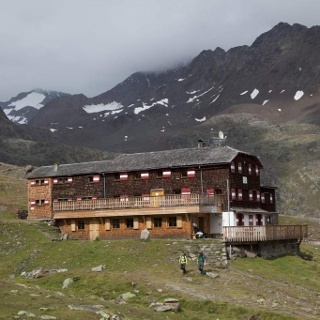 Return to Vernagthütte.